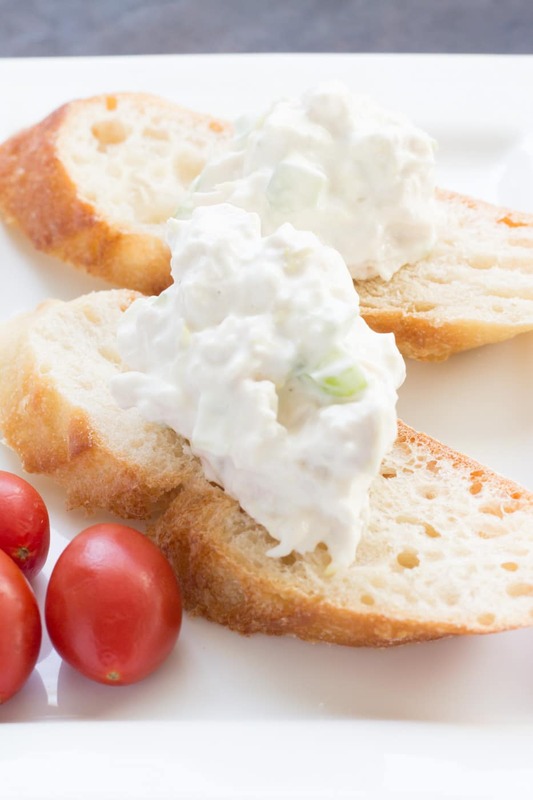 A Simple Chicken Salad Recipe that gets back to the basics! Just a handful of ingredients are all that is needed to turn simple chicken breasts or leftover chicken into a delicious lunch or light dinner. A traditional chicken salad should not have pickles, relish, fruit or nuts added. From a purist standpoint, it should never have any more additions in beside chicken, mayonnaise, salt, pepper, celery, and some added acidity! Acid brightens the flavors in all recipes and chicken salad is no exception. 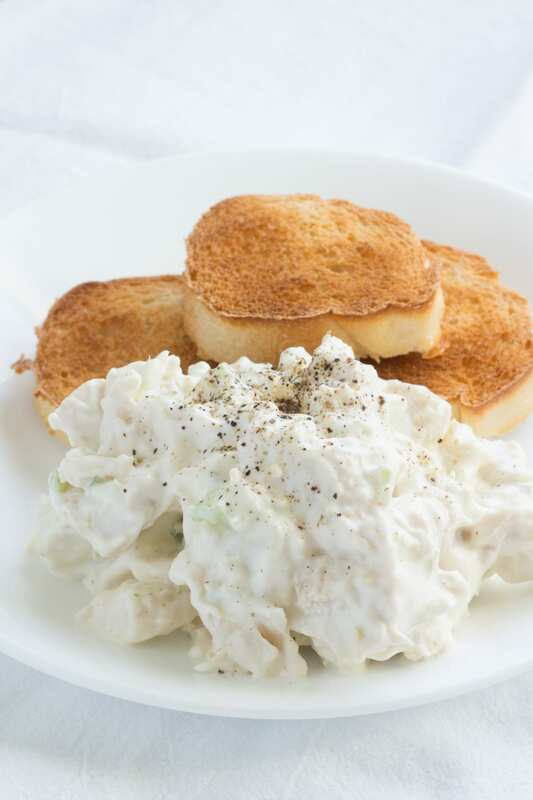 I use sour cream or Greek yogurt to provide acid in my chicken salad. They both provide an extra creaminess without overwhelming it with mayonnaise. If you need to avoid adding dairy, a squeeze of lemon juice will do the trick. A Southern Chicken Salad usually contains an addition of chopped boiled eggs and diced sweet pickles, or sweet pickle relish added. I have run into some versions with dill pickles too. Fruit can be added but I prefer a whipping cream base for those times when I add fruit. There is nothing wrong with adding fruit to this base recipe. Try adding grapes and almonds for a beautiful brunch salad. Sure! I do all the time. Cut it into cubes rather than shredding it. You might even find that you prefer the texture of it over traditional poached chicken. Use any extra chicken to make some chicken noodle soup. The carcass, skin, and juices from the bottom of the rotisserie container can add some extra flavor to the broth. Can I Use Leftover Baked Chicken? Absolutely! Just make sure it isn’t overbaked and dried out. 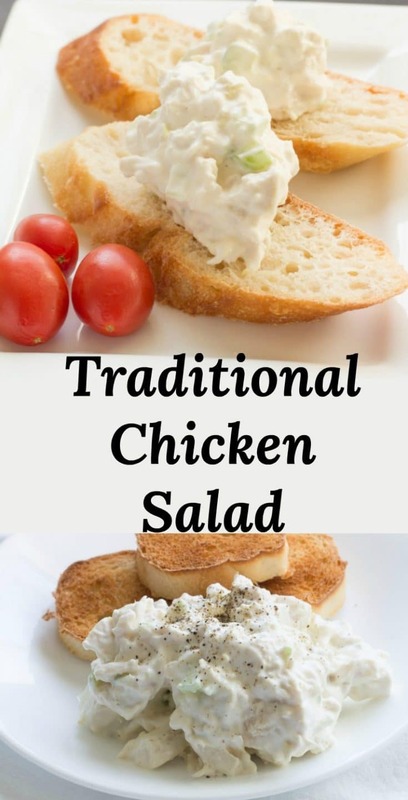 Any form of cooked chicken can be turned into a chicken salad. The only kind I probably wouldn’t use is leftover ground chicken. That’s probably best left for something like chicken lettuce wraps. Leftover turkey can be substituted for the chicken. Turkey salad is a great way to get rid of holiday leftovers! 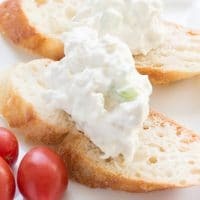 Can I Use Chicken Salad As Soon as I Make It? 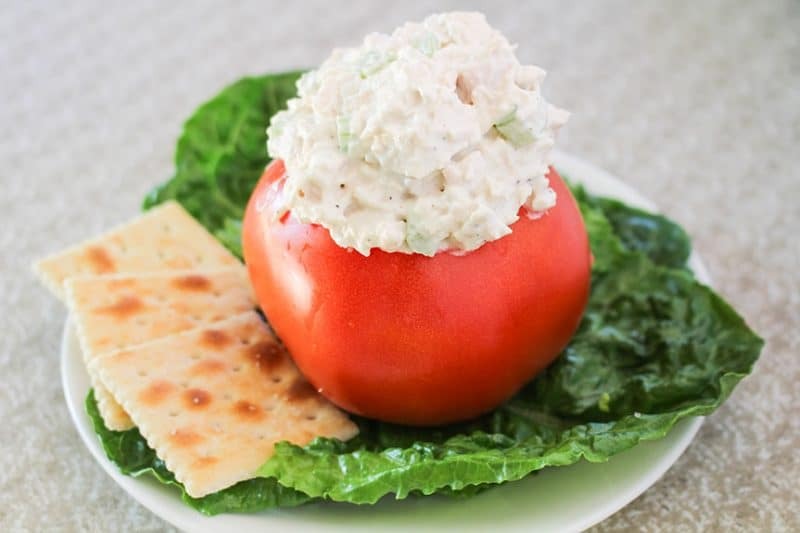 Chicken salad can be eaten immediately after making. The flavor will improve after refrigeration though. I try to make this at least 4 hours ahead of time. Chicken Salad should be stored in a covered container in the refrigerator. Federal food safety guidelines recommend discarding chicken salad after 3 to 5 days and getting rid of it after it has been at room temperature for 2 hours. This is a pretty big window as far as chicken goes, so I usually toss mine after day 3. I have never frozen chicken salad. Mayonnaise should not be frozen, it tends to separate. You could try it and remix the salad or add more mayonnaise. Honestly, I would just freeze leftover chicken separately and make fresh salad after it has thawed. In a Sandwich, My favorite is Toasted Bread with a slice of red onion! 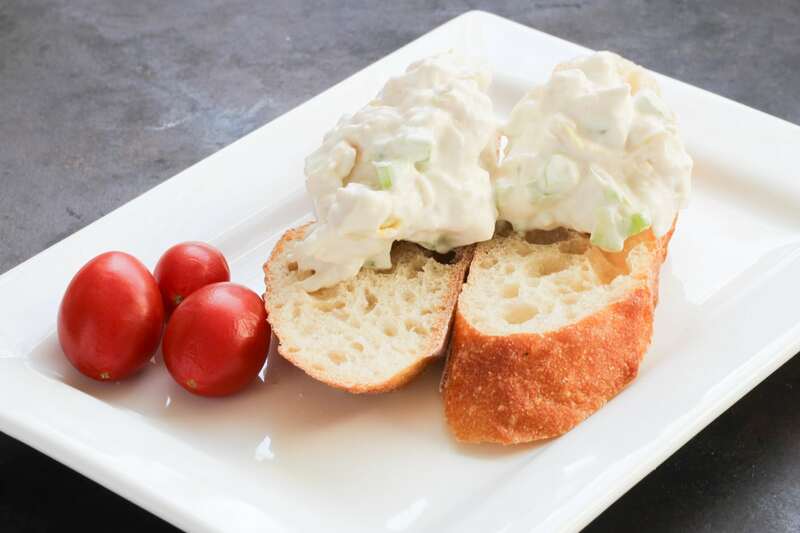 Basic chicken salad recipe with mayonnaise and celery. Can be dressed up or down. If using precooked chicken skip the steps for cooking the chicken. Place chicken in a pan and fill with enough water to completely cover chicken. Place over high heat and heat until water boils. Removed skin and bones from chicken and discard. Cut chicken meat into small dice, or larger if you like. Serve on crackers, bread, or stuffed in a tomato.